On behalf of the Mail on Sunday, Survation conducted a telephone poll in the constituency of Folkestone & Hythe on April 3rd and 4th – a constituency in which Nigel Farage has expressed an interest in standing – to see what effect a Farage candidacy could have on the seat in 2015. Respondents were asked to imagine it was the 2015 general election and that the candidates standing were the incumbent Damian Collins MP for the Conservatives. Nigel Farage for UKIP, Gordon Cowan for Labour (a local Labour figure) and Lynne Beaumont for Liberal Democrat – the previous PPC. Under the scenario of adding Nigel Farage’s name alongside other named candidates UKIP could add 28 points to their vote in 2010 . Where would this potential UKIP vote come from? – Of those now indicating UKIP, for whom did they vote in 2010? 31% of those who told us they weren’t sure which of the candidates they would choose in 2015 (‘Undecided’ voters) said they would definitely or probably consider voting UKIP in a general election. One fifth of current Conservative voters in Folkestone & Hythe who had not opted for UKIP have a favourable opinion of Nigel Farage. 29% of Folkestone & Hythe constituents who have seen or heard anything about the debate between Nigel Farage and Nick Clegg say it made them more likely to vote UKIP. “UKIP’s ability to campaign in constituencies has come a long way since Nigel Farage’s ill-fated 2010 attempt to unseat Speaker John Bercow in Buckingham, culminating in a distant third place finish and a near death plane crash on polling day. 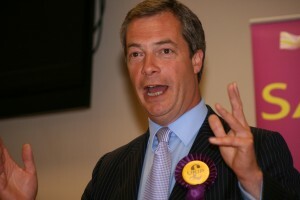 Despite lacking the voter ID information and postal vote knowledge of their opponents and being faced with the challenge of hastily called by-elections, UKIP has chalked up significant campaigning successes – most notably in Eastleigh in 2013 where the party were only narrowly kept off the winning post by a formidable Lib Dem defence.